“Vengeance is mine, and I shall repay”, Rachmaninov wrote at the head of his first symphony, emulating Tolstoy’s Anna Karenina. Quite what the vengeance was for is not entirely clear (it almost certainly refers to the words of an Orthodox chant that probably inspired the opening theme of the work), but it was it was a prescient quote, considering that the symphony was excoriated on its first performance on March 27, 1897. Rachmaninov, then only 26, had to read a vicious demolition job by the one of the most celebrated critics of the day, the composer César Gui. Rachmaninov put the symphony aside (the autograph score has never been rediscovered), and the work wasn’t revived until 1945, after the Russian conductor Alexander Gauk had reconstructed the score from the surviving orchestral parts. Fitting vengeance, though, Rachmaninov certainly had, in the scintillating performance Alexander Prior gave with the Edmonton Symphony Orchestra on Saturday, March 24, at the Winspear. It’s a young composer’s symphony, and it benefited from not only the young conductor’s passionate enthusiasm for the work, but also his experience with the Russian symphonic repertoire. Prior’s approach (as we have learnt from his Tchaikovsky) is grittier, more driving, with more Russian tensions, than many western interpretations – here it reminded me at times of Svetlanov’s terrific Melodia recording. From the very first notes you knew this was going to be a really good performance – it breathed energy and confidence, and it was soon clear the orchestra were really going to respond to the conducting. The first two movements are marvellously flawed – with the flaws of youthful composition – in that the ideas fall over each other, the interest in the moment greater than that of the whole. Here a tougher, more driving interpretation, not overtly sentimental, pays dividends, binding those ideas closer together. One could hear the touches of Tchaikovsky, but Prior also made moments in the first movement sound like Sibelius, Rachmaninov’s contemporary (as he did at the very close of the symphony). The third movement was wonderfully rich, like the glowing texture of polished burr walnut infused with dark streaks and swirls, and with some beautiful smooth woodwind playing. Prior drew out the dark brooding element in this movement, and there were moments that musically looked forward to Rachmaninov’s orchestral masterpiece, The Isle of the Dead. But the final movement was, fittingly, the climax of the performance. What a movement it is, too! Rachmaninov seems to shake off the 19th century, and transform the whole thing into some of the most advanced writing of the period. Here one could hear, in the incorporation of more populist elements, echoes of Mahler. The movement, with its massed percussion, could also be seen as heralding so much of Shostakovich’s orchestral music, though Shostakovitch couldn’t possibly have heard it or studied it. In other words, it was not only on the cutting edge of its time, but it anticipated later Russian music, and Prior brought out those elements in a performance of fire and energy, one of the best I have heard from this orchestra. If the powers that be do arrange for the ESO to tour, then they should seriously consider taking this symphony with them. Inevitably, such a performance left one wondering what might have been. After the failure of the premiere, Rachmaninov increasingly turned to works that were essentially much safer, a few works such as The Isle of the Dead and the marvellous Orthodox choral services apart. In spite of all their breathtaking and much-loved emotional affect, they never really reflected the tenor of their age, which includes the Russian revolution, Stalin’s horrors, both World Wars, and the Great Depression. What would Rachmaninov have followed that last movement with, if he had received praise instead of contempt? The performance of the Elgar cello concerto – another work that had a fiasco of a premiere – was less successful. Written in 1919, this is Elgar’s great contemplative peon to the waste and horrors of the First World War, and, with such heartfelt sorrow combined with a feel of wistful memories,it surely reflects something of the turbulent mixture of emotions that the survivors of the War felt. 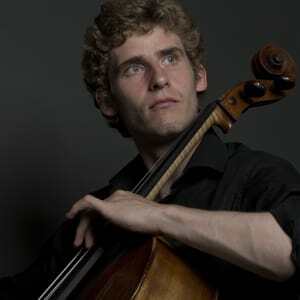 With the young Dane Andreas Brantelid as cellist, this performance never quite achieved the depth of emotion the concerto is capable of, and Prior seemed intent on breathing fresh approaches into the work – something that very rarely works with Elgar, as a number of conductors have found to their cost. Elgar is, above all, a composer of swell and fall, in the orchestral writing and in the melodic phrasing, and that was largely missing here. It was as if the whole work had been emotionally shifted sideways: the deep sorrow of the piece became just sadness, and the more playful moments became almost flippant. Having said that, Brantelid is clearly a very fine player, and I don’t want to exaggerate any sense of disappointment: if one had never heard the concerto before, this performance may well have been affecting. But the work has more to it than emerged on Saturday evening. The concert had opened with a fine reading of the four sea interludes from Britten’s Peter Grimes. Prior set up contrast between a sharper, edgy sound (such as the strings in Dawn or the woodwind in Sunday Morning) and a misty, more subdued texture (the brass in Dawn or the horns in Storm), that was most effective, creating anticipation. The mawkishness of Sunday Morning really came across, and there were reminders at times of how close the idioms of Britten and Shostakovitch could be at this period (1945). The suite is also an orchestral showpiece, and there were some splendid performances from the woodwind and from timpanist Barry Nemish, and a magical little trombone solo moment from John McPherson. The storm at the end was fast and furious, with an almost outrageous accelerando at the end, which orchestra and conductor pulled off with aplomb. How well, too, the three works went together – a well-planned and wonderfully executed concert.